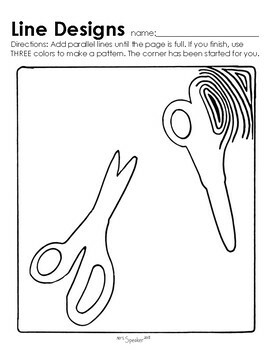 Sub Plans or activity to precede observational drawing unit. Students practice seeing and drawing variation in line. 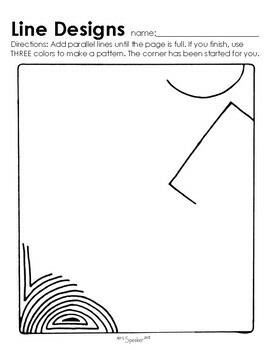 Directions: Add parallel lines until the page is full. 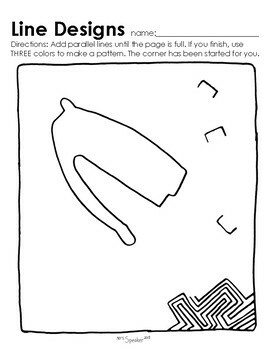 If you finish, use THREE colors to make a pattern. The corner has been started for you. This is my first attempt to convert a powerpoint slideshow into a multi-page .pdf. Please let me know if there are any problems with format.